Deftones can be considered the survivalists of the nu-metal age. Not only because they are one of the few bands in and around that style still making relevant music but also due to their drive to push forward as bassist Chi Cheng continues to recover from a devastating car accident. 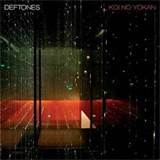 For a complete breakdown on my thoughts about Koi No Yokan, you can check out my review for Hellbound.ca!